Michael Moneypenny, Director of the Simulation Centre, told me the fascinating story of the relationship between Laerdal, the company who makes some of the Patient Simulators that the SCSC uses, and a mysterious drowned young woman in the Seine, in the late 1880’s. The “L’Inconnue de la Seine” or Unknown Woman of the Seine, was reportedly so beautiful that the Paris pathologist that found her ordered that a death mask be made. 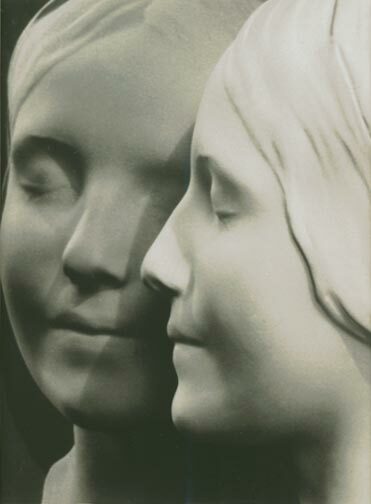 Casts of this mask sold across Europe and have been referenced by numerous artists and writers, including Man Ray, who photographed the inconnue to illustrate Louis Aragon’s 1944 novel ‘Aurélien’. 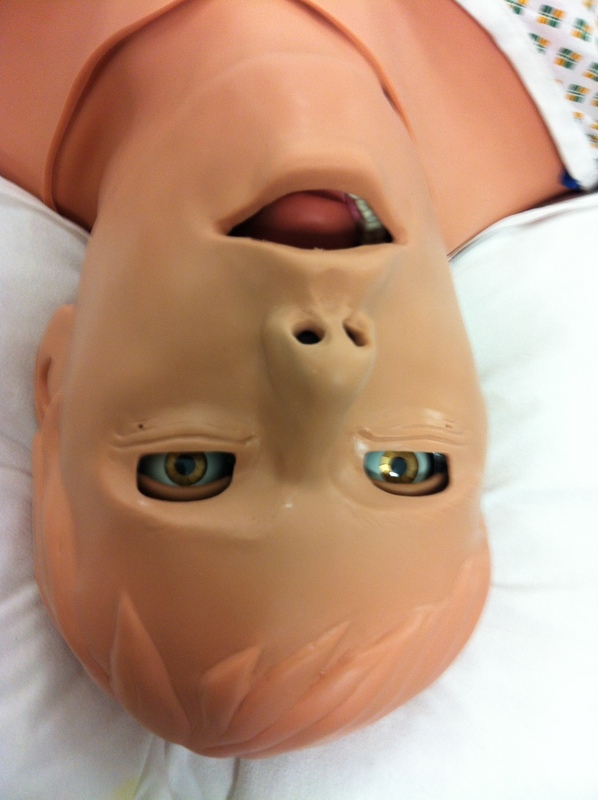 In the 1950’s the mask of the inconnue was chosen by a toy maker in Norway, Asmund Laerdal, after being approached by an Austrian doctor named Peter Safar, who was developing the basics of CPR, and was looking for a way to teach and practice this. The result was the Resusci Anne model, which is still in use today and has been resuscitated by more than 300 million people. The Simulation Centre follows a three stage method of training: prep for training (within training rooms); simulation (within simulated clinical environment); followed by de-brief and evaluation (watching footage of simulation within training rooms), which I intend to try out as an infrastructure for performance, intertwining medical staff, audience and professional actors/performers (all scrubbed up and robed). I am interested in the possibility of combining medical procedure ‘scripted’ scenarios, currently used at the SCSC, with experimental theatre techniques for mobilising audience engagement and participation. To this aim, I have been looking at the techniques of Bertolt Brecht, with advice from Dr Laura Bradley, Senior Lecturer in Theatre Studies, and Brecht specialist, at the University of Edinburgh. Laura pointed me to a number of relevant texts for this project in particular “The Street Scene” and “The Decision”. The Street Scene (1950), the foundation of Brecht’s theory of epic theatre, is particularly relevant as it attempts to involve and engage the audience as active participants. The technique that Brecht’s Street Scene model proposes, uses an everyday event as the premise, the example here is a traffic accident. The model proposes demonstrator, eyewitness and bystanders accounts of the event, with their multiple viewpoints and interpretations as the basis for a form of theatre, connecting art and real life. Rather than being about theatrical imitation, Brecht proposed epic theatre techniques adopted with a “natural attitude” to performance, which enables bystanders/audience to actively form and contribute opinion/content. The Decision (also know as ‘The Measures Taken” written in 1930) is a set theatrical text, as opposed to the Street Scene, which is more a proposal of technique. The Decision is one of Brecht’s learning plays (Lehrstück), didactic works that attempt to turn theatre into a learning experience (controversial in content, the play was “interpreted as an apology for totalitarianism and mass murder, Brecht and his family banned it from showing until 1998” http://www.bbc.co.uk/oxford/stage/2003/11/decision_review.shtml). The Decision requires a community of performers, each of which undertakes a variety of roles, including that of The Young Comrade (who has been killed) and Brecht’s point was that the actors should learn through acting, adopting different “attitudes” rather than imitating characteristics. 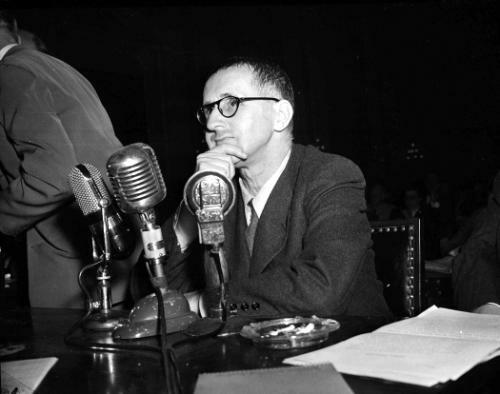 Interesting Brecht wrote that The Decision was “not written for an audience but exclusively for the instruction of the performers“, although he did often have questionnaires for audience and re-wrote the plays based on audience feedback. On Wednesday 6th November I spent my first day observing the activities at the Simulation Centre, Larbert, sitting in on a training day for Junior Anaesthetists. The training follows a three stage method: briefing (within training rooms); simulation (within simulated clinical environment); followed by de-brief and evaluation (discussion and watching recorded footage of simulation within training rooms). In order to participate I was given the role of Surgeon’s Assistant. When I first stepped into the simulated theatre in my scrubs and put on my robe, mask, gloves and hat, I was somewhat nervous and daunted by the fact I had no idea what to do and it did cross my mind just how nervous I would have been if it was a real patient on the bed, not just Standard Man (Stan for short), the high definition mannequin. The staff at the Simulation Centre are trying to achieve what they describe as ‘psychological fidelity’ i.e. an experience that feels real for the trainees. Methods they use to do this include briefing the training group about the patient scenario outside of the simulated theatre, so that they enter speaking to the ‘patient’, rather than the mannequin, the ‘Surgeon’ in the training scenario (who is part of the training team) plays a vital role in this realism, pushing the trainees with real world pressures (there are ‘x’ amount of patients still to get through today) and of course the physical responses from the high definition mannequin itself. The scenarios were all emergency situations and the stress was palpable whether observed as a participant within the simulated theatre, or as an observer watching the live video feed within the training room, which creates an extraordinary environment that all participants are psychologically invested in. 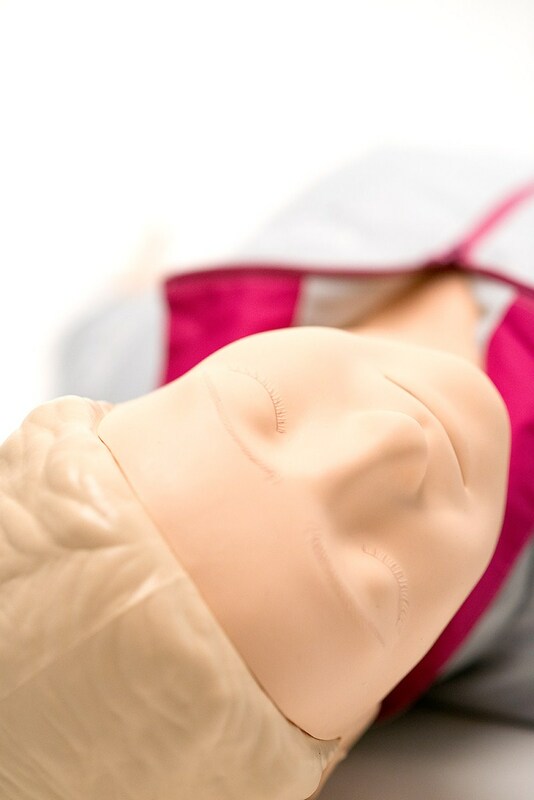 The training sessions demonstrated to me the complex interpretations that are routine undertakings for medics. 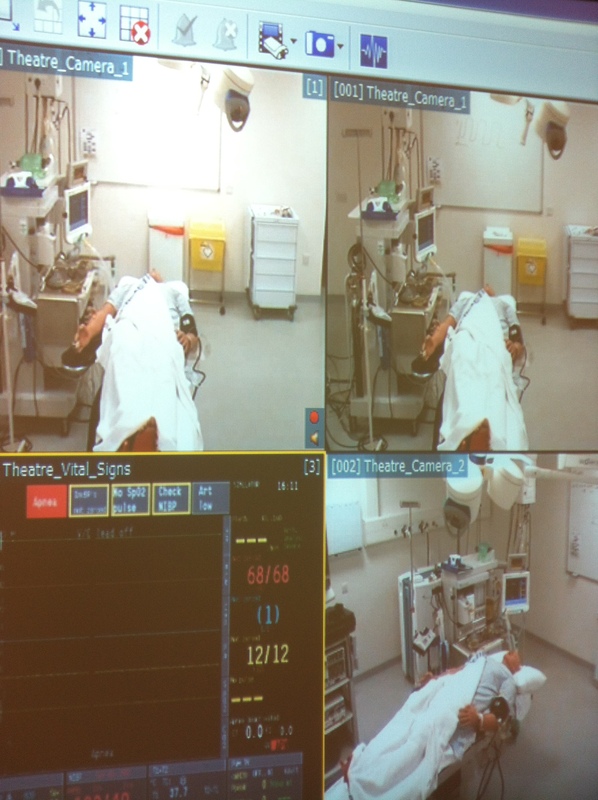 The multi-layered information from readings (heart rate, CO2 levels, etc), the patient themselves (is breathing shallow, lopsided etc) and the other contingent activities within the room (even down to the effect of tilting the bed), requiring systematic consideration (in the de-briefs, algorithms to apply in different situations were discussed) to establish the required response (anaesthetic, pain relief, physical intervention, and also importantly when to use the phone in the corner of the room to phone for further help). All of these scenarios are set up and operated by the Simulation Centre’s Control Room. It’s from here that the Simulation Centre staff voice the patient (the live voice comes out through the mannequin), operate the software that controls the mannequin, observe and also where that phone in the corner of the simulated theatre phones through to. On my next visit I’m going to be shown the ‘Standard Man’ software that controls the mannequin, to look at the possibility of manipulating set scenarios. ‘Eidolon’ is a new interdisciplinary and participatory live art project, that I am undertaking with the Scottish Clinical Simulation Centre (SCSC), at the Royal Forth Valley Hospital, Larbert. 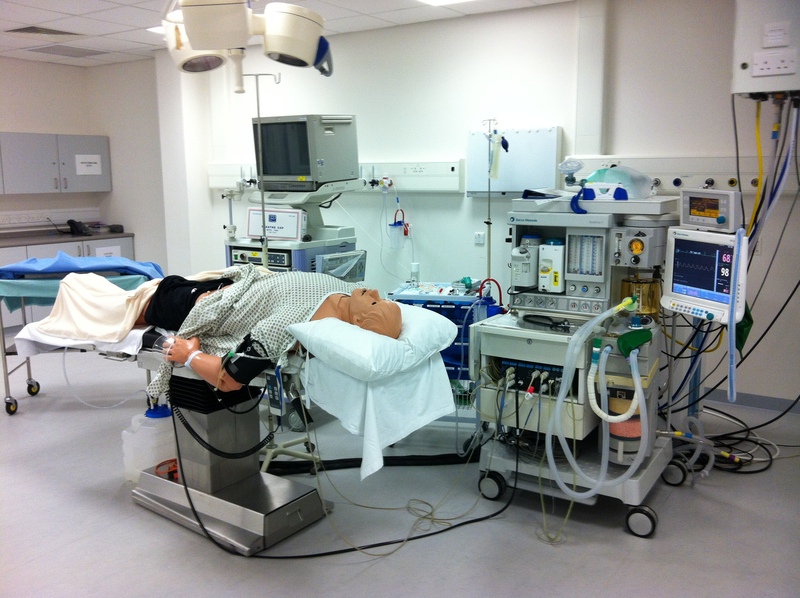 The SCSC is state-of the-art multi-professional training facility (the only high fidelity simulation centre in Scotland), which undertakes simulation based medical education (SBME) and boasts a range of mid and high fidelity mannequins, embodied with physical responses, such as voice, pulse, breath and tears, accommodated within two multi-purpose simulation suites. These areas can be transformed to represent virtually any clinical hospital location (theatre, ward etc.) and create a unique psychological fidelity and experience, into which training participants invest extraordinary conviction, and commitment to the simulated scenario at hand. It’s within this unique setting that I am undertaking an initial period of research and development, funded by Creative Scotland, with a view to creating an intimate, participatory live art project, devised as a context specific work for the simulation spaces of the SCSC.